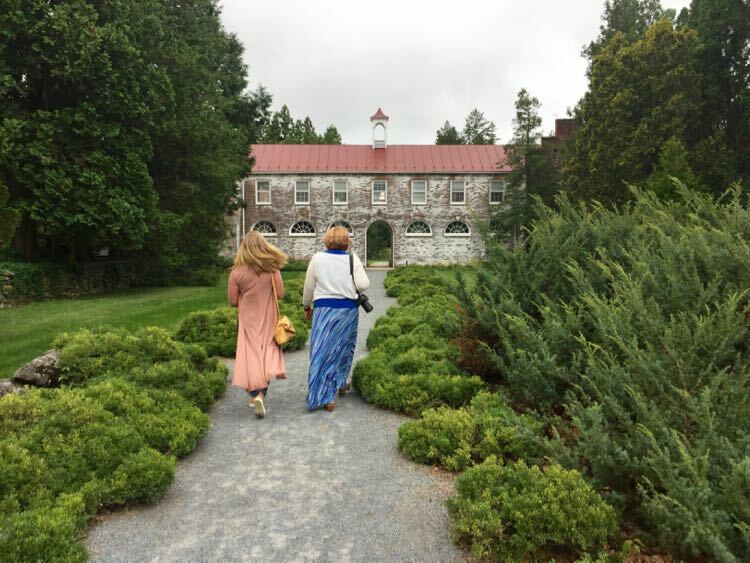 A Winchester Virginia getaway or day trip offers tasty dining and craft beer, beautiful scenery, interesting history, and unique fun for every age group. The walkable downtown features a pedestrian mall lined with restaurants, shops, historic architecture, museums, and even a brewery or two. Within a few blocks are more fun and funky places to explore. 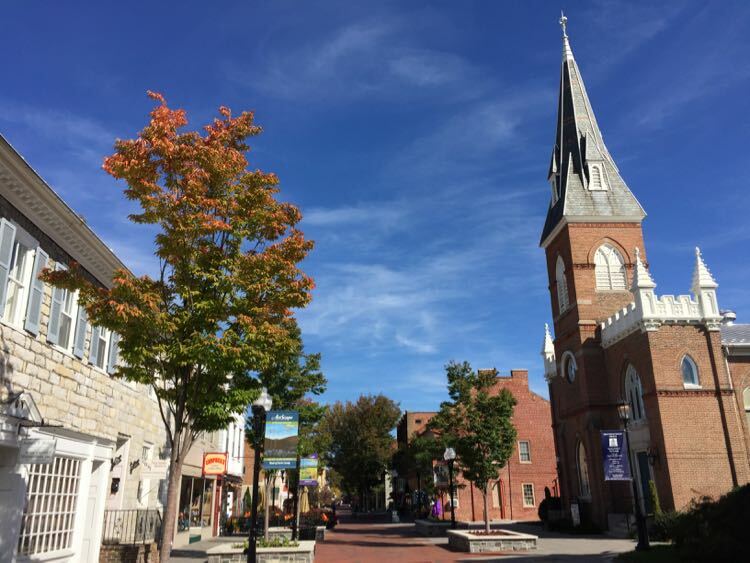 The Winchester Virginia getaway fun extends beyond the downtown. 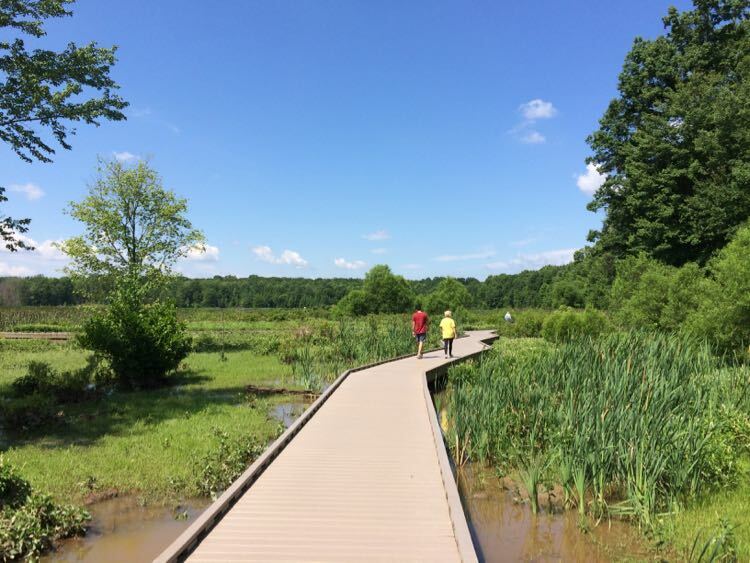 Nearby farms, small country roads, and trails are perfect for scenic exploring. Winchester is less than two hours from Washington DC, so it’s ideal for a last minute day trip. But we highly recommend a longer visit to enjoy everything the area has to offer. Start at the Winchester Frederick County Visitor Center to pick up information and learn a little about the area. You’ll find self-guided walking tour maps, along with information about guided tours and other special events. Next, head to Old Town Winchester and start exploring. Our visit to Winchester was hosted by the Winchester Frederick County Convention and Visitor Bureau. All opinions, text, and photos are our own. 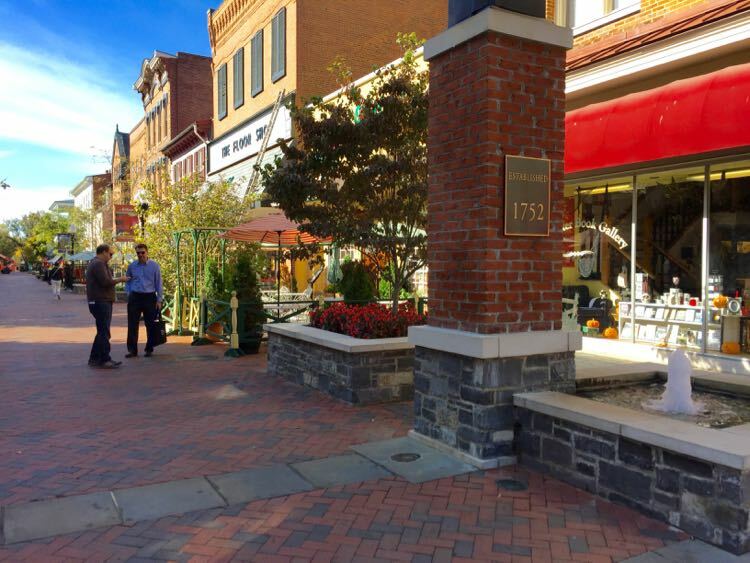 You could spend several hours wandering through Winchester’s Loudoun Street Pedestrian Mall. The brick-clad street boasts restaurants and shops, plus a Civil War museum, and other historic buildings. At the southern end, kids can play in a splash pad during the warmer months. The mall hosts special events throughout the year, including a summer Farmer’s Market, and seasonal fun like the popular, spring Apple Blossom Festival. 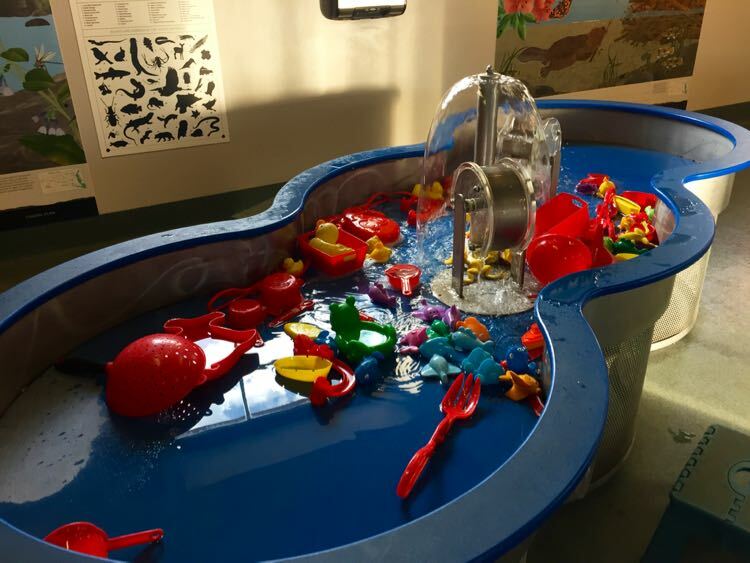 Kids and families can play as they learn on four levels of interactive exhibits at the Shenandoah Valley Discover Museum. There are plenty of hands on activities at the museum for kids and parents to try together. Don’t miss the pretty views from the rooftop level! A block from the pedestrian mall is one of the finest Beaux Arts buildings in the area, the Handley Regional Library. The beautiful exterior was designed to suggest an open book, with the rotunda as the spine and two wings as the book’s covers. 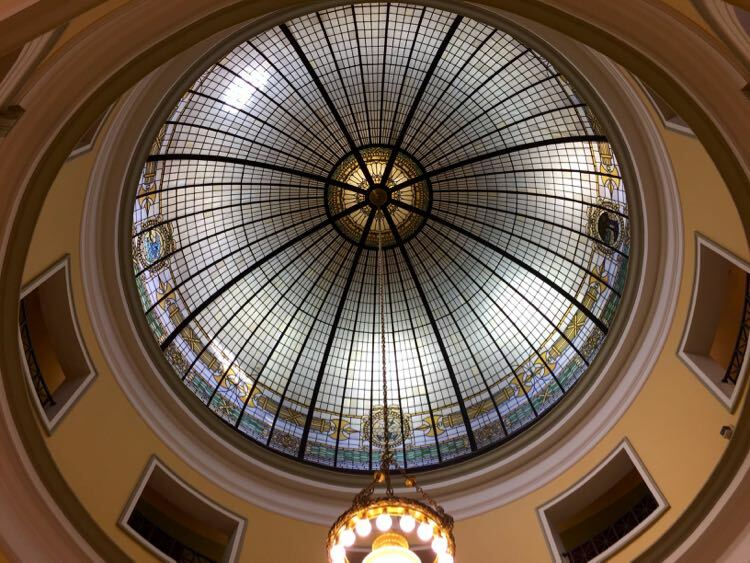 Climb the curving stairwell inside for a closer look at the stained glass rotunda. Grave stones in the Mount Hebron Cemetery date to the 1760s. Four separate burying grounds share a common entryway and enclosure. In one section, the remains of a Lutheran Church are surrounded by graves from the late 18th century. The nearby labyrinth offers a place for quiet reflection. The Stonewall Confederate Cemetery was dedicated shortly after the Civil War in 1866. 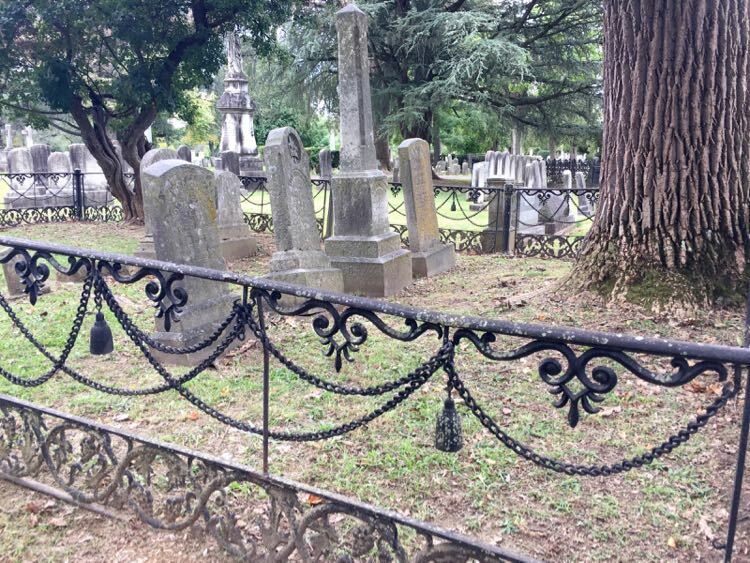 It is the resting place of 2,576 Confederate soldiers who died in the area. George Washington developed his reputation and skill as a commander while living and working in the Winchester area. Visit George Washington’s Office Museum to learn about his time in the area as he planned and oversaw the construction of Fort Loudoun. Winchester changed hands 72 times during the Civil War, more than any other U.S. town. Today, that history is preserved and interpreted at several area sites. The Shenandoah Valley Civil War Museum is located on the pedestrian mall, in an antebellum courthouse that was used as a hospital and prison during the Civil War. Nearby, Stonewall Jackson’s Headquarters is preserved as a museum. 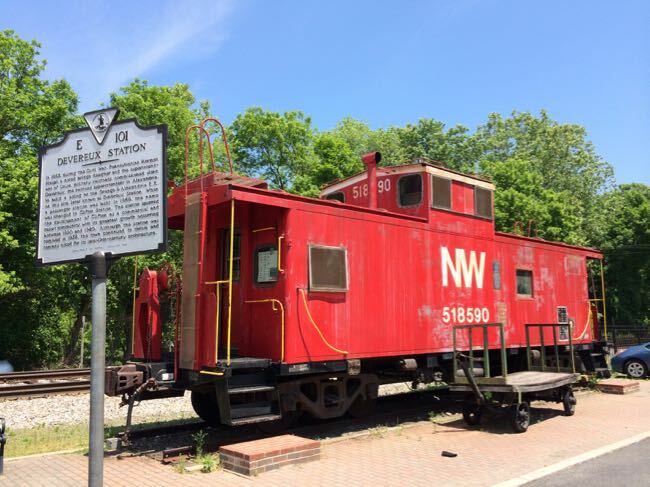 Explore more recent musical history at the Patsy Cline Historic House, half-a-mile from the mall. The country music legend, Patsy Cline, lived in the modest Winchester home from the age of 16 to 21. Learn more about the people and places of the valley as you explore the art and gardens at the Museum of the Shenandoah Valley. The collection includes an incredible display of miniature houses and furniture, along with a mix of permanent and changing exhibits. 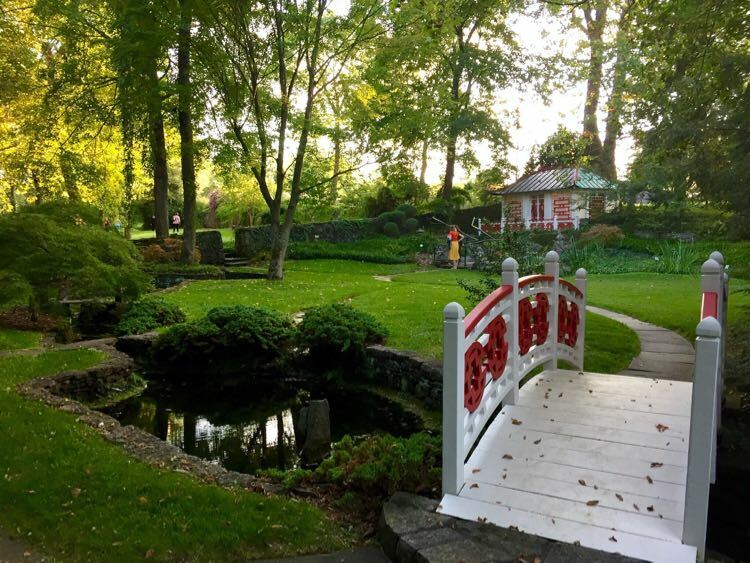 Outdoor lovers should stroll through the Glen Burnie Gardens—the Asian-influenced water garden is particularly beautiful. 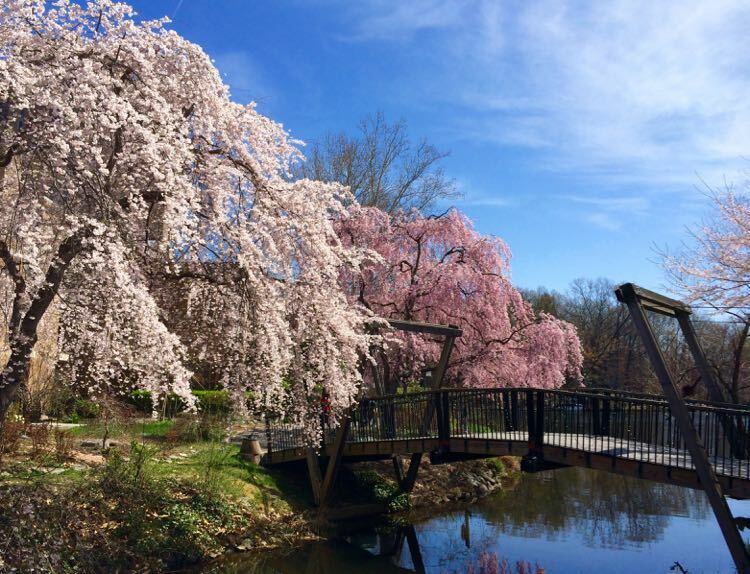 The University of Virginia conducts research, trains budding scientists, and preserves a diverse collection of trees and plants at the State Arboretum of Virginia, Blandy Experimental Farm. 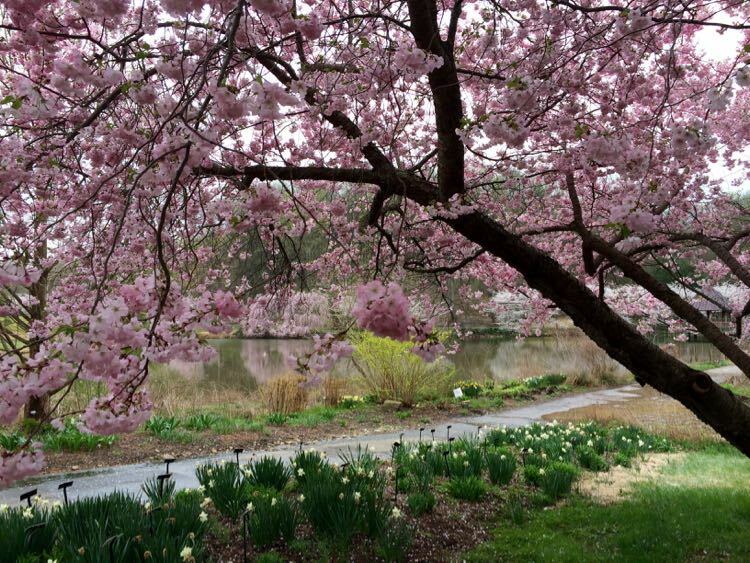 Several trails and a loop drive make it easy to explore the collection and enjoy the beauty. 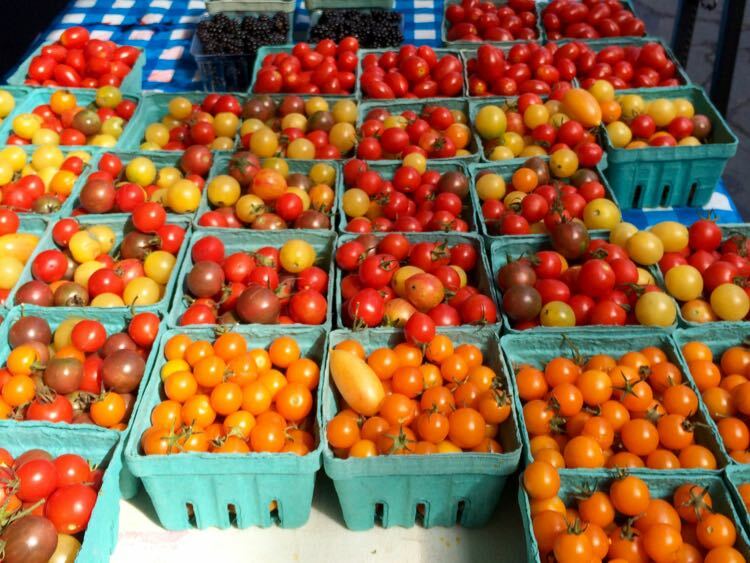 Local farms are fun stops for tasty fruit, produce, and other treats. They also invite a scenic drive on country roads. Richard’s Fruit Market is a fifth-generation farm (there were three-generations on site when we stopped by) that sells their own produce, meats, and of course, fruit. They also have a pick-your-own flower garden, animals to visit, and a very cool apple grader that buffs and sorts the apples. Another popular stop is Miller-Marker Orchards and Farm Market. The on-site bakery makes yummy apple cider donuts, and there’s a large playground out back for the kids. Look for the big apple near the parking lot for a fun photo spot. The Homestead Farm at Fruit Hill Orchard is a smaller farm with a lovely organic garden and a shop selling gifts and treats. The hike to Eagle Rock Overlook is a short climb that’s a bit of a workout, but not too difficult for younger kids. 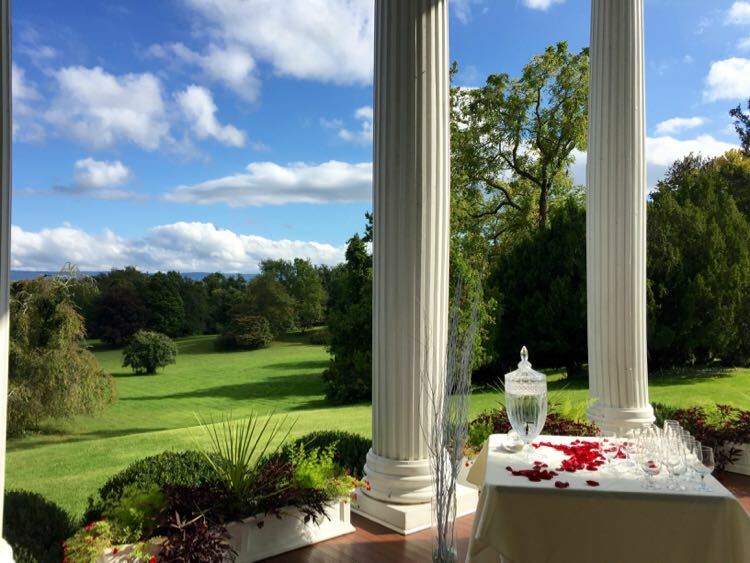 Your efforts pay off with a series of overlooks and impressive eastward views of the Shenandoah Valley countryside. One overlook even has a stone bench that would make a good picnic spot on this 3 mile out-and-back hike. The trail begins at a small parking area on the Virginia, West Virginia border, and follows the blue-blazed Tuscarora Trail to the overlook. The trailhead for the hike is a little hard to find via GPS, so here is a map to the turn onto Capon Springs Grade/route 609. Follow the dirt road uphill until you see a small parking area on your left, just before the West Virginia line. The trail begins across the street, marked with a Great Eastern Trail sign. 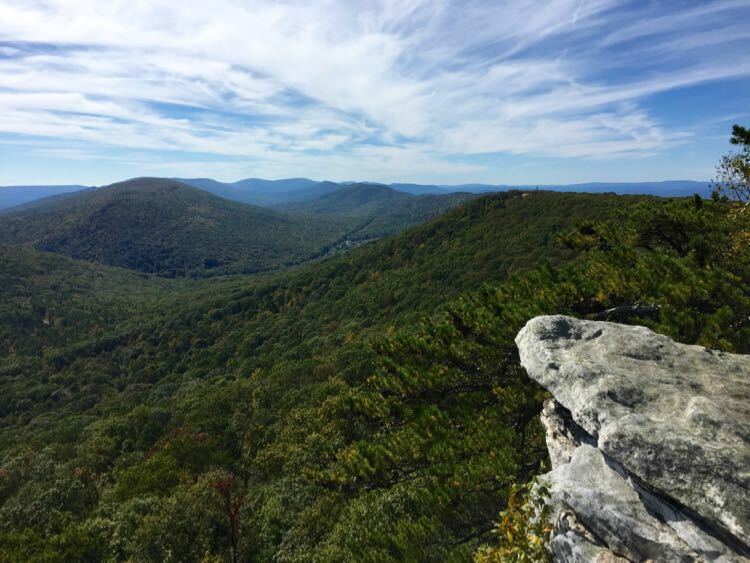 >> Find more great hiking in our Guide to Shenandoah National Park Central District. 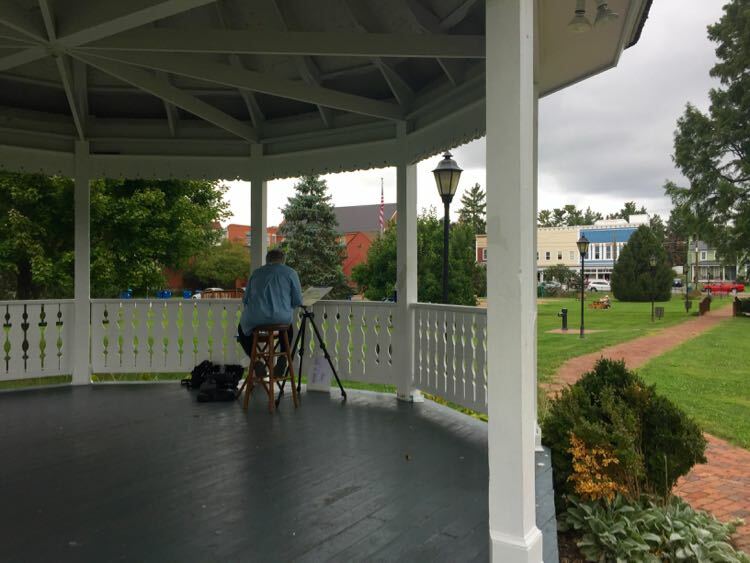 Many artisans make their home and sell their wares in the small town of Berryville, in neighboring Clark County. Begin your visit at the Barns of Rose Hill Cultural Arts Center to see current exhibits and learn about the artisans in town. The Barns also host special events and live entertainment. Next, wander through the downtown area, visiting shops and speaking with artisans about their creations. Belle Grove Plantation is an antebellum farm once owned by Isaac and Nelly Hite. Nelly was the sister of future president James Madison. Tours share details of life on the plantation during the early 1800s, and the period architecture and furnishings of the manor house. 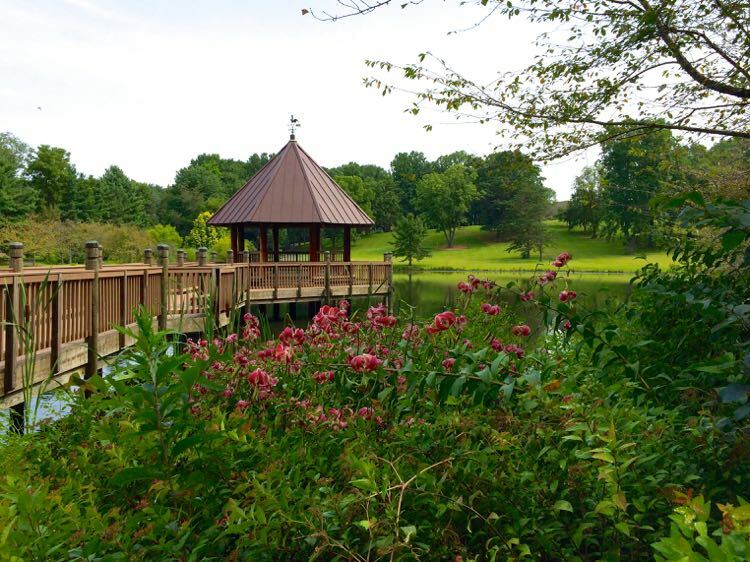 Outside, visitors can stroll the gardens and grounds in the pastoral country setting in Middletown. The range of dining options in Winchester VA is extensive and diverse. Here are some of the places where we have enjoyed a meal. This is far from a comprehensive list of all the great places to eat in town, so have fun exploring. Steamy’s Coffee is a nice spot to start the day with a cup of joe and a home made bagel. 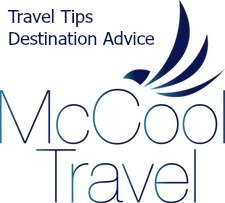 Ask the owner, Lenny, for his tips on what to see, do, and eat during your Winchester Virginia getaway. The pedestrian mall is a good bet for lunch, with a wide range of restaurant styles and price ranges. The Union Jack Pub makes tasty fish and chips. We haven’t tried it yet, but the Snow White Diner looks like a funky stop for burgers. 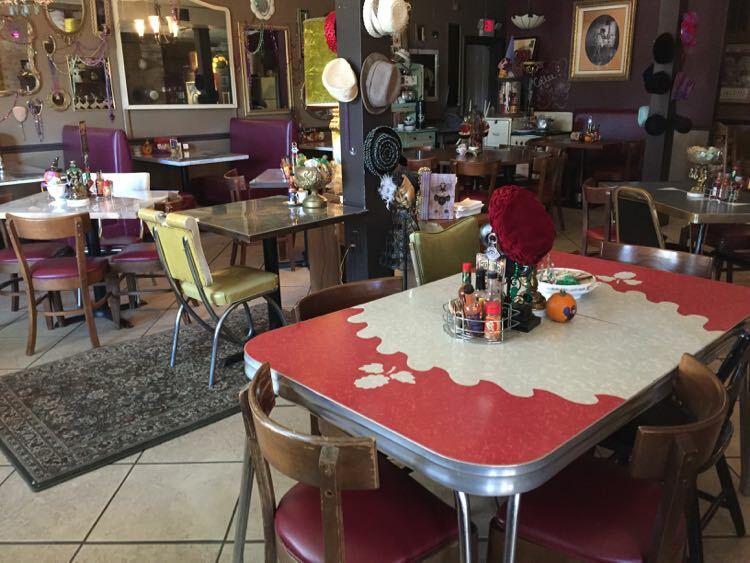 For dinner or lunch, we highly recommend Sweet NOLA’s, located about a mile from the downtown mall. Owner Cheryl Nash offers up authentic and lovingly-prepared New Orleans dishes in a relaxed, funky space. She also books top musical acts and makes a mean Krispy Kreme bread pudding. Cheryl also books high energy music, so check their Facebook page for the latest events. The Village Square Restaurant serves contemporary American dishes in an historic building on the downtown mall. Our three course, Restaurant Week meal included delicious ravioli and a generous banana sundae. There are several excellent breweries in downtown Winchester. Alesatian Brewing Company operates a second floor taproom on the pedestrian mall, with a range of beers from the classic to the funky. A block away, you’ll find Winchester Brew Works, a majority woman-owned-and-brewed nan-brewery with delicious beer and a happy vibe. Their ESB is fantastic! A bit further north, Escutcheon Brewing Company brews and pours a range of beers including some tasty stouts. Cider lovers should keep an eye out for Winchester Ciderworks, a cidery producing delicious drink from all those local apples. 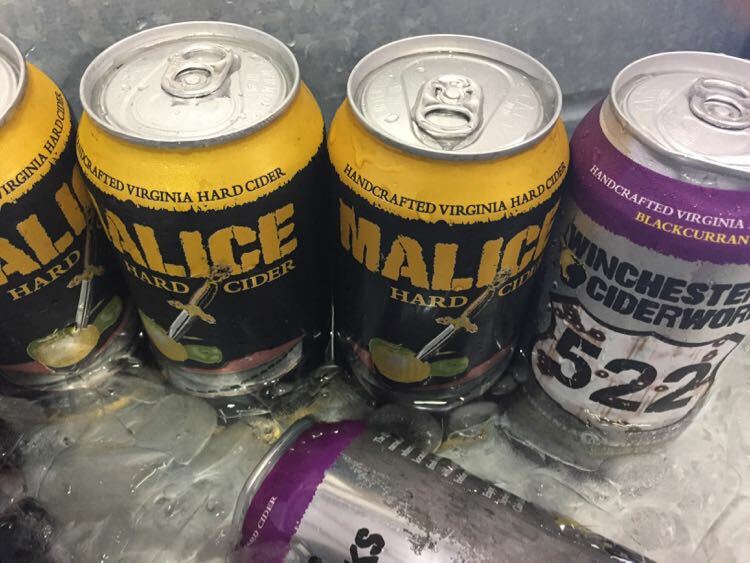 The flagship Malice is crisp and refreshing, and they also produce fruit based and barrel aged ciders. >> Explore more great craft breweries with our guide to 12 Virginia Beer Trails. The George Washington Hotel combines elegance, comfort, and a perfect location for exploring downtown Winchester. The Wyndham Grand Hotel property occupies a Georgian Revival brick building just a block from the pedestrian mall. Your room is close to everything, but away from nighttime noise. Free wifi, comfy beds, and a welcoming on-site bar and restaurant make the GW a great base for your Winchester Virginia getaway. Relax with a massage or facial at Saumaj, the on-site spa, or soak in the beautiful pool, modeled after a Roman bathhouse. 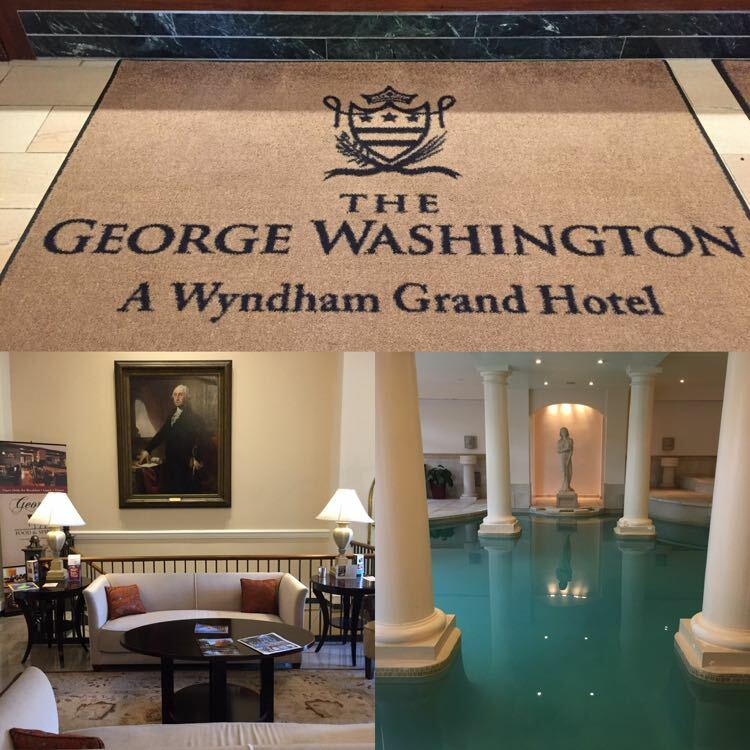 >> Check reviews and rates at the George Washington Hotel now. Book a romantic stay at the Inn at Vaucluse Spring for a beautiful dose of elegance and history, away from the action. 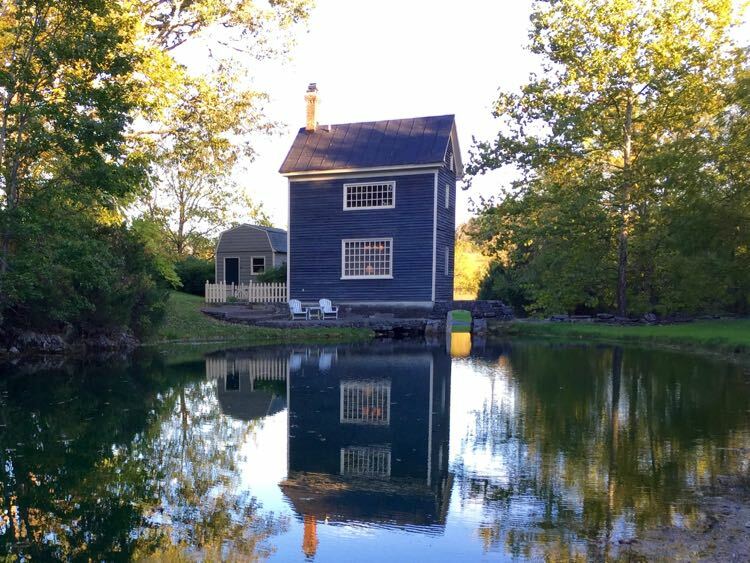 Located in the small town of Stephen’s City, just south of Winchester, there are six different guest houses to choose from.We highly recommend the historic Mill House, with fireplace, small kitchen, bedroom with expansive windows, jacuzzi tub, and best of all, a private patio overlooking the small pond fed by Vaucluse Spring. Breakfast in the manor house is three courses of farm-to-table deliciousness, and guests rave about the prix fixe dinners. So relaxing! Another option for a stay filled with country elegance is the Historic Rosemont Manor in Berryville. Rosemont is a popular venue for weddings and corporate retreats, but they rent individual rooms when no events are being held. The sumptuous rooms are each unique and lovely, and the grounds are spectacular. Rosemont Manor also offers traditional English teas throughout the year. >> Check reviews and availability at all Winchester Virginia hotels. 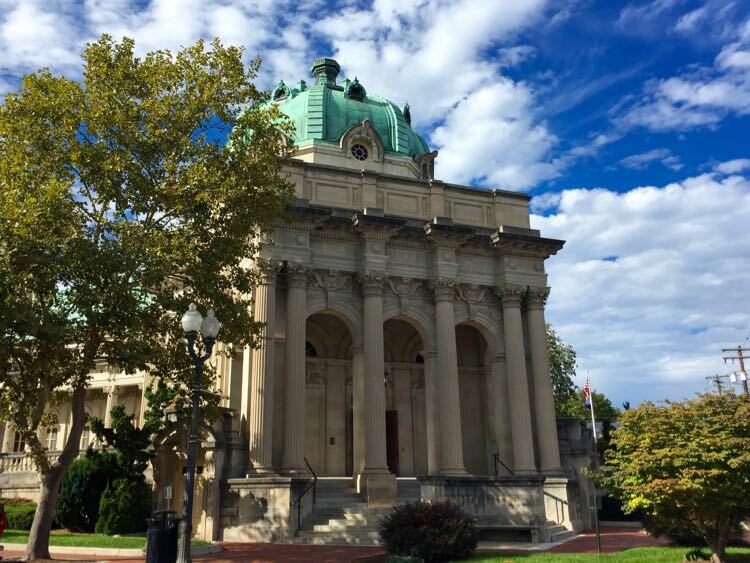 Whether you visit for a day or a longer stay, you’ll find plenty of fun and interesting things to do and see in Winchester Virginia and the surrounding towns. It’s a short drive from the busy Washington DC area, but the country vibe feels much further away. Don’t have a car for your Winchester VA getaway? Zipcar has lots of locations in the DC area and you can rent a car by the hour or the day. Click here for $25 off your first Zipcar rental. 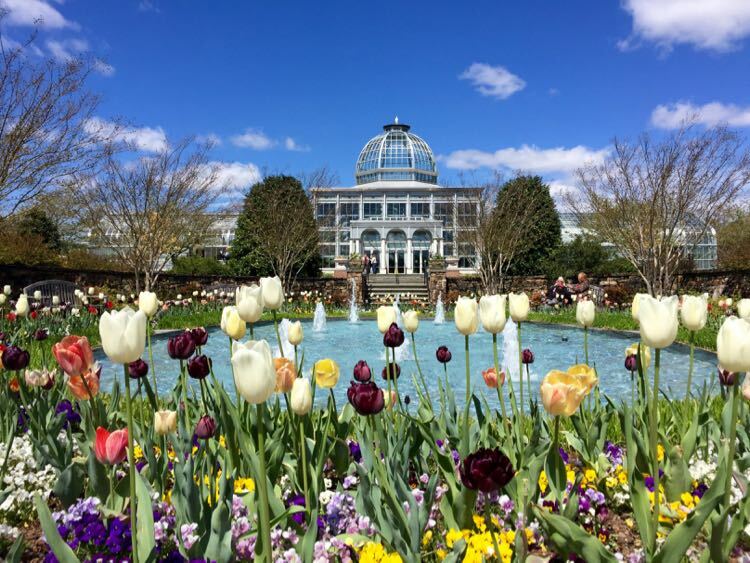 Follow Fun in Fairfax VA on Facebook, Twitter, Pinterest, and Instagram for more fun getaways, things to do, places to visit, dining and drink, and special events in the Northern Virginia area and the mid-Atlantic USA. Oh, that apple cider donut. Yum. And that inn on the water. Looks marvelous. The Shanandoah is on my bucket list of road trips since it’s not too far from our home town, Philadelphia, and we could stop and visit some DC friends on the way there. Your photos make it an enticing destination. 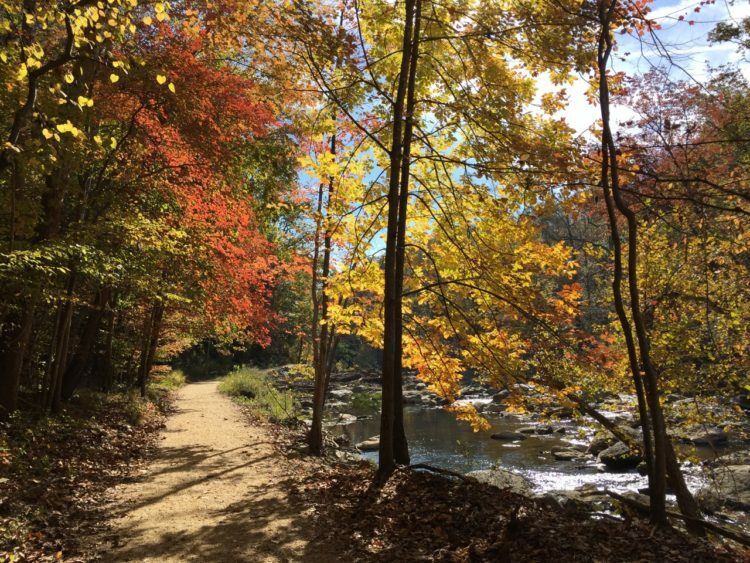 You will love road tripping through Shenandoah Valley. 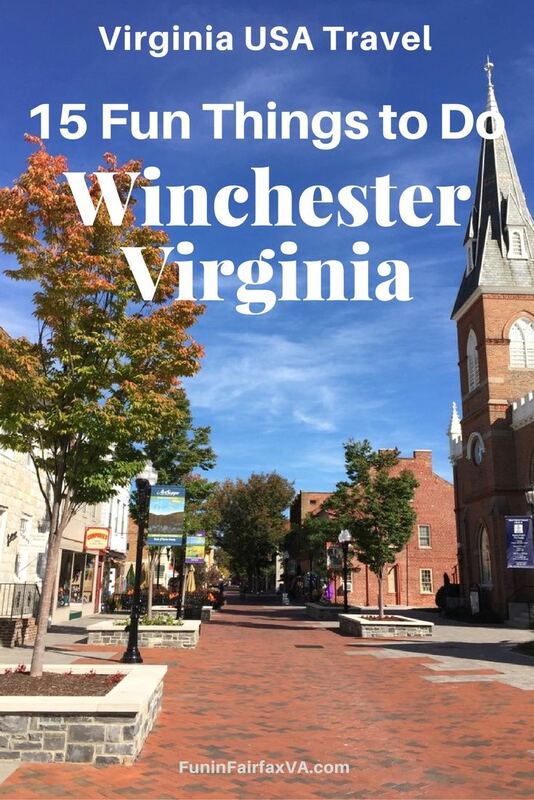 Winchester is the perfect first stop, then head to Harrisonburg, Staunton, and Lexington if you have time. Route 81 is the quickest route but the side roads are more fun if you have time.Thanks for the feedback Suzanne! The pedestrian mall reminds us of the one in Charlottesville and both are excellent. 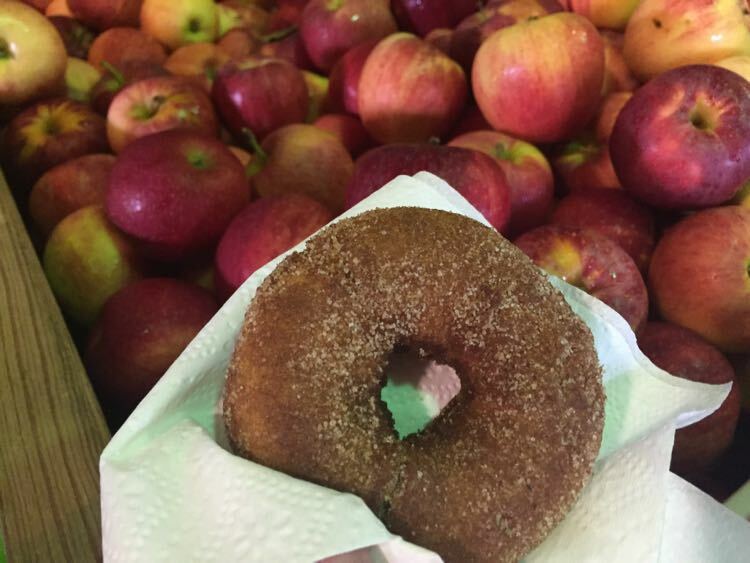 We missed the farmers’ market but would return just for cider donuts, yum! Yes, it reminds me of the Charlottesville pedestrian area too, Gotta love a walkable downtown. And I’m with you on the cider donuts. Yum indeed! What a green and verdant land! 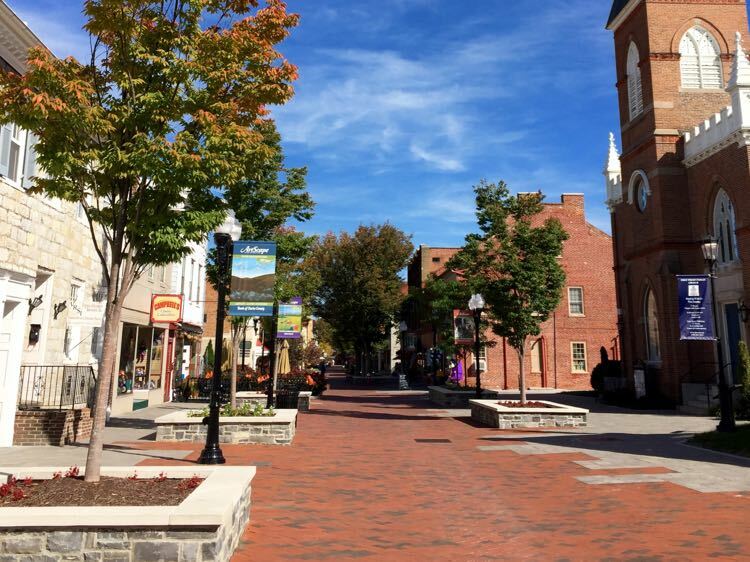 Yes, Shenandoah Valley is a beautiful place and Winchester is a perfect base for exploring. Thanks Linda! Yes, you can’t go wrong with the cider donuts Sue. 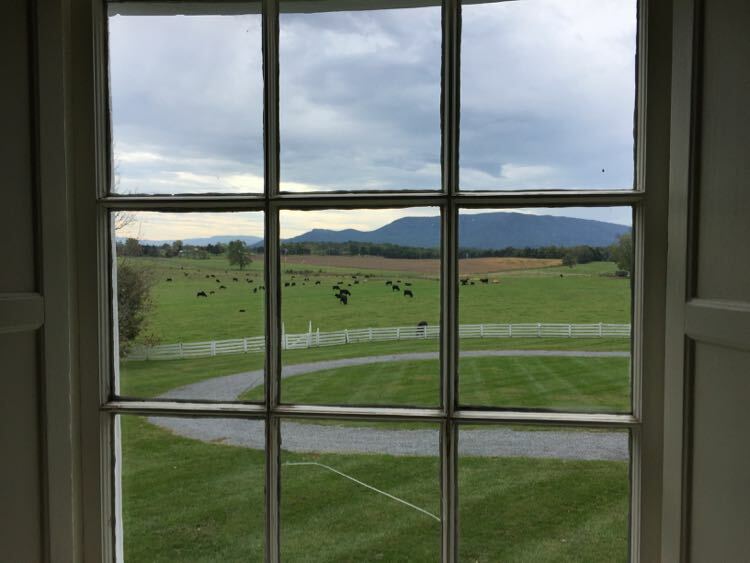 I’d consider leaving D.C. for a day trip to visit the Blandy Experimental Farm at the State Arboretum of Virginia. But I think that would take me an entire day! I’d need to try some of your other suggestions at another time.